Mason Means Business. 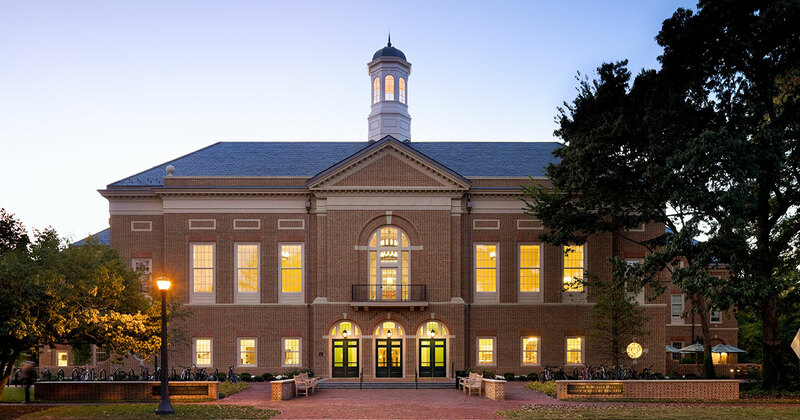 For the second year in a row, William & Mary’s undergraduate business program at the Raymond A. Mason School of Business has been recognized as one of the ten undergraduate business programs to watch in 2019. In the just released analysis by Poets & Quants, and a recent survey from Princeton Review, the Raymond A. Mason School of Business ranked number one in the nation in a number of key categories. Driving the school’s success are three key attributes: the quality of teaching, career preparation, and the happiest students. When asked what makes the students so happy, Jennifer Dahnke, Assistant Dean for Undergraduate and One Year Masters’ Programs advised, “I think the recent surveys highlighted the commitment our faculty and staff have to creating the support structure necessary for our students to excel during their academic careers, and standout in a crowded job market when they graduate.” In fact, the Mason School ranked number one in teaching quality, faculty availability and mentoring, and developing job-ready skills. Dahnke went on to say, “We’re also extremely proud of our second place rankings in academic and career advising, and career preparation.” The Mason School’s job placement rates were outstanding and ranked at the very top of the survey with 95% of students landing jobs within three months of graduation. Getting that first job is only part of the story. The survey and analysis also ranked the Mason School at the top of the list with 95% of alumni reporting they are now working at their desired company and in their most desired job function. Generational changes in attitudes and motivations are inevitable, and the Raymond A. Mason School of Business recognizes this by adapting and evolving their curriculum. From creating tomorrow’s MBA for graduate students, to launching a host of online programs in business, the Mason School is always striving to create the most contemporary and relevant programs to create success for students. When asked what stands out most about the Raymond A. Mason School of Business’ approach, Dean Larry Pulley told us, “It’s the personal touch and deep commitment our entire community has towards creating an environment that supports our students in their pursuit of knowledge, relevant experience, and principled achievement. High-touch and flexibility are phrases you’ll hear often around the Mason School.” An example of personalization in action is our Individual Program of Study (IPS) where students can select courses that allow for a mix of foundational business concepts with personal passions, allowing the creation of a custom academic experience that can fit each student’s long-term plans. In an industry where numbers matter, William & Mary and it’s Raymond A. Mason School of Business offers a compelling portfolio of achievement, from the happiest students in the nation to top-ranked faculty and engaged alumni, America’s second oldest university is one to watch 2019.